James K. Polk was President when George B. Foulke  was born on Saturday 7 June 1845 in Harrison County, Ohio. Harrison County is located near the east central border of the state and had been formed from portions of Jefferson and Tuscarawas Counties in 1813 . 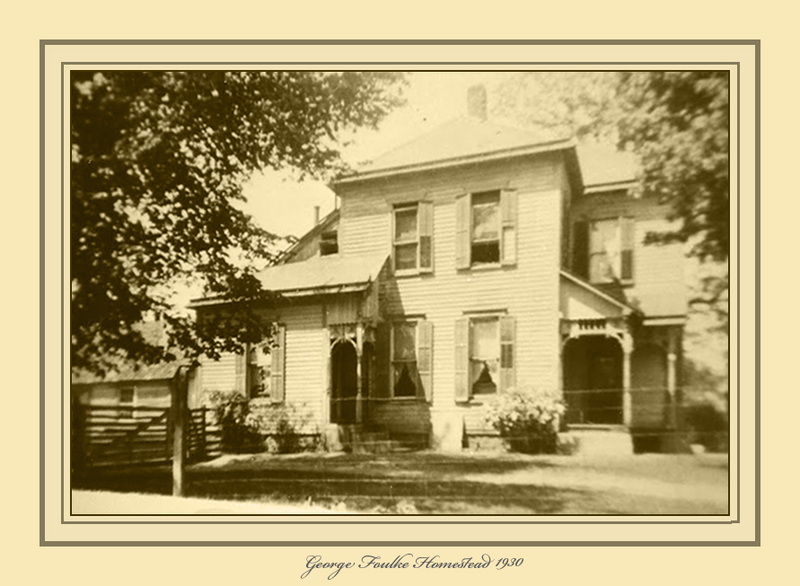 George was the second son born to Jesse M. and Mary Baker Foulke. 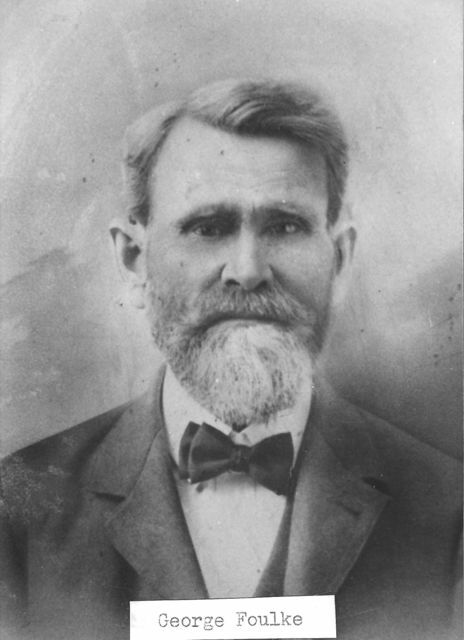 Son, John Baker, had been born in March of 1844 also in Harrison County. The family were Quakers and members of Short Creek mm located in Short Creek Township. 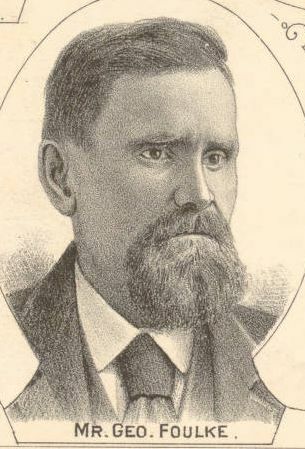 Indiana Governor Oliver P. Morton called for Citizen Volunteers, and several regiments were organized, including the 109th Infantry which was organized on 10 July 1863. The unit consisted of 10 companies of "Minute Men" with two of the companies comprising men from Hamilton County. According to records, George was mustered into the 109th Infantry, Co. I, on 9 July at Boxley. On 13 July the 109th left Indianapolis heading to Hamilton County, Ohio and when they arrived the Rebels had already fled the state so they returned to Indianapolis and the 109th was disbanded on 17 July. The Civil War continued until 9 Apr 1865 with the surrender of Confederate General Robert E. Lee to Union General Ulysses S. Grant at Appomattox. Five days later President Abraham Lincoln was assassinated at Ford's Theater by John Wilkes Booth. 17 Nov 1873 Amasa's wife Lucetta was murdered and Amasa was convicted for the crime during his first trial but was found not guilty at his second trial on 14 Feb 1875. George was a participant in the trials by posting bond and then later testifying at his second trial. Jesse and Mary also testified at the trial along with many other friends and relatives. This had to be a very stressful situation for everyone involved, especially the parents, to see their youngest going through this experience. Jesse died on 18 Feb 1875 after having seen his son acquitted of the charges. He was living with his father and step-mother in Jackson Township in 1880 and had attended school. He married Lula Kellam on 10 Aug 1898 in Hamilton County and they had 2 sons, Russell and Herbert. Jesse was a life-long farmer in Hamilton County. Jesse was described in Sept 1918 as Medium Height, Medium Build, Grey Eyes, Brown Hair. Lula died on 9 Feb 1933 and Jesse passed away on 30 Jan 1936, both are buried in Crown View Cemetery near Sheridan. Both lived their entire lives in Hamilton County. Age 22, George was 32 and Jesse Alvin was 7 months and 24 days old. 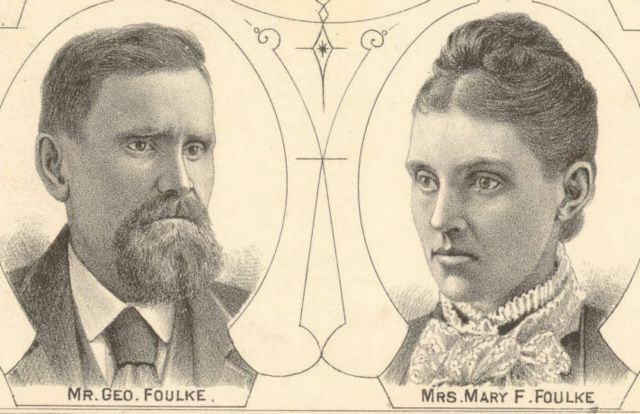 August 1877 Amasa Foulke marries Belle Linder who died in Oct 1887. 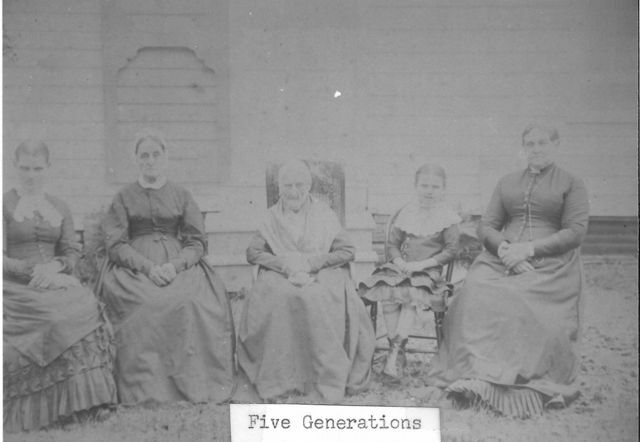 The Census shows the family consisted of George, Mary Frances, Jesse Alvin and Grace. George listed his occupation as a farmer. Carrie was born in Jackson Township on 30 Dec 1881 and was listed in the 1900 U.S. Census as a 19 year old daughter of George and Mary. 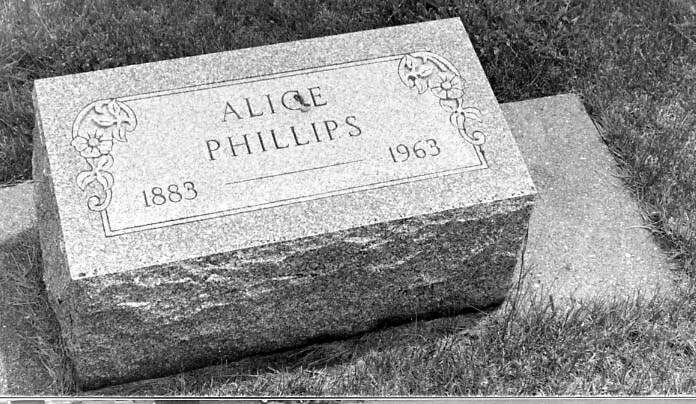 30 Oct 1883 Daughter Alice Born - Hamilton County, Indiana - Alice was born in Hamilton County and she attended Bakers Corner School. In the 1900 Census she was shown as the 16 year old daughter of George and Mary in Jackson Township. 13 Mar 1886 Daughter Sarah Born - Hamilton, County, Indiana - She was listed as living with her parents in the 1900 and 1910 U.S. Census. 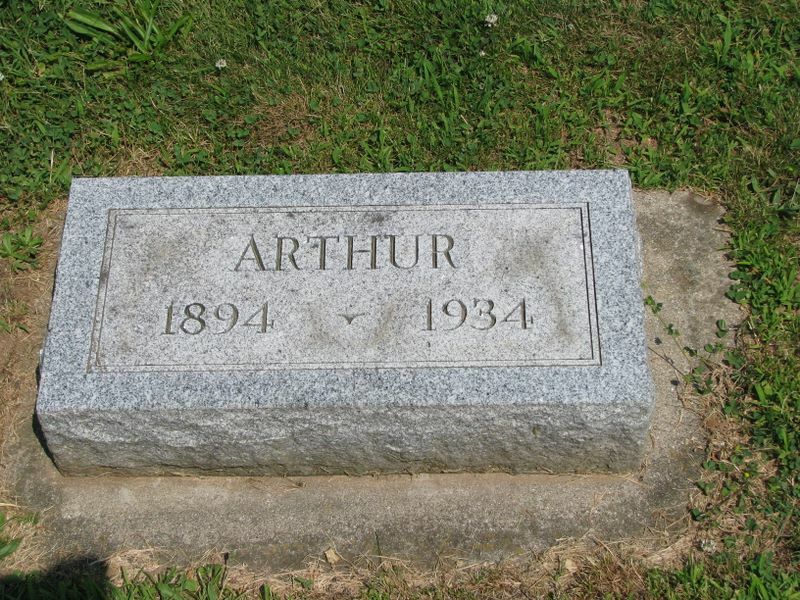 19 Jan 1894 Son Arthur Born - Hamilton County, Indiana - In the 1900 and 1910 U.S. Census he was living with his parents. - George and family lived there from the time it was built until Mary Frances lost it in the 1930s. 30 July 1903 Alice married Siah Clyde Phillips on 30 July 1903 in Hamilton County. 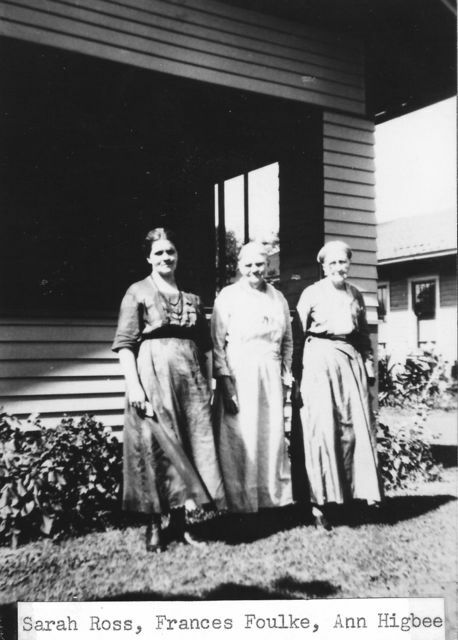 In 1910 they were living in Adams Township and had 2 children, Bernice and Louis. 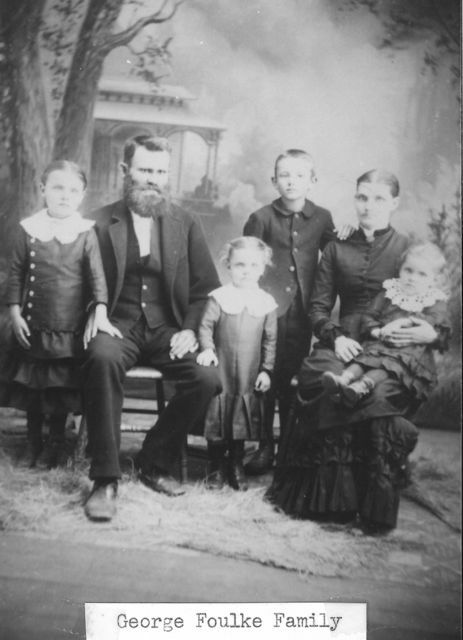 The family grew to 6 children, with the addition of Dortha, Charles, Thomas and Margaret. Alice and Siah were divorced sometime before 1934 because Siah married Ina M. Young in that year and they were listed as living in Sheridan in the 1940 U.S. Census. Alice and 3 of her children were shown living in Sheridan on E. 6th St. in the 1940 U.S. Census and she was listed as "Divorced". 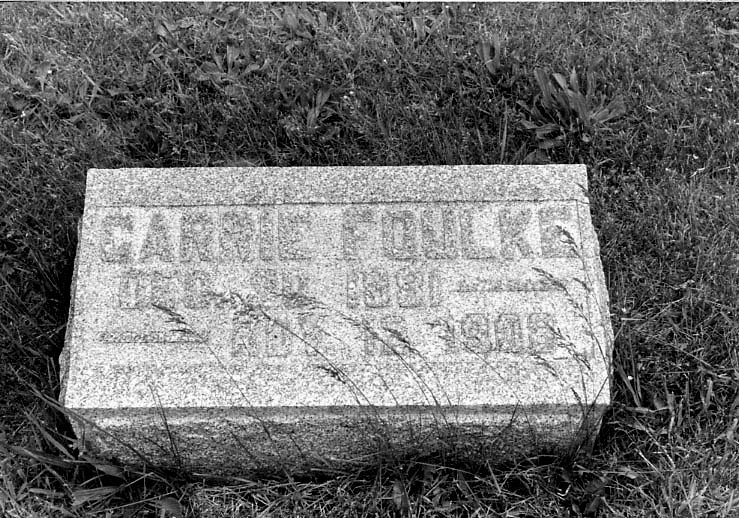 4 July 1906 Sarah Ann Foulke, sister of George, died and is buried in the Farley Cemetery in Hamilton County. She left her husband William Francis McShane and her five children, Eva, Nona, Alma, James and Lena. 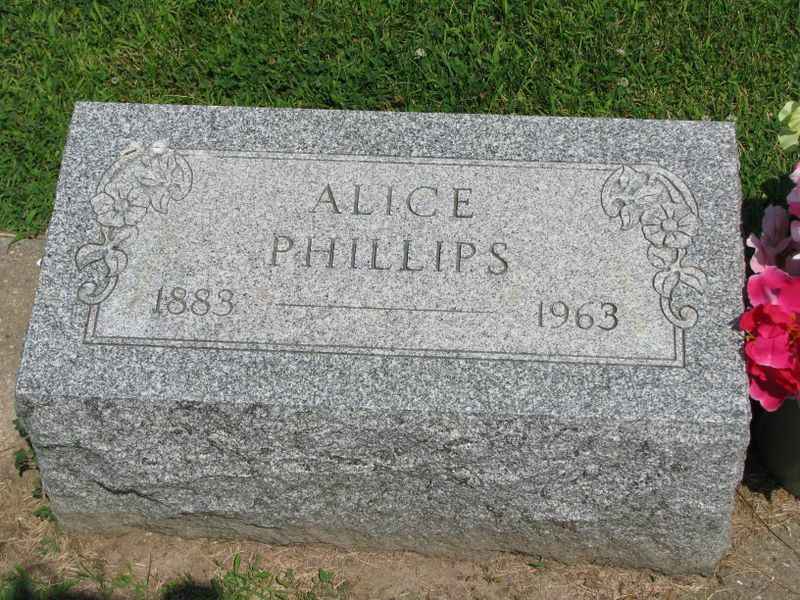 She committed suicide on 12 Nov 1908 and is buried in Crown View Cemetery near Sheridan in the family plot. Her headstone reads: Carrie Foulke/Dec. 30 1881/Nov 12 1908. The headlines of her obituary read "MISS FOULK'S SUICIDE/ Shot Herself With a Target Gun on Thursday Evening/ LIVED THIRTY MINUTES/ Rash Act Attributed to Poor Health - No attention Paid to Frequent Threats to Take Her Life - Funeral Will Occur Saturday." The obituary goes on to describe in some detail how she took her life. According to my father the reason she was despondent was because she wanted to marry a man who was a trash hauler or something and the parents, or probably her mother according to Dad, did not approve and wanted her to marry someone of more importance. Grace and Oscar went on to have 6 children: Myron, Ina, Mary, Walter, Esther and Milton. Sarah and Robert E. had three sons, Paul K., John W. and Robert C.
Note: This was actually the George Foulke Farm and Rob and Sarah were running the farm for Mary. Following the death of George Mary Frances first had the Robert E. Ross family living on the farm in the 1920s and then in 1930 the Oscar C. Robbins family moved there to run things for her. Mary Frances continued living on the farm until she lost it in the 1930s. She then lived with her children until her death on 2 June 1935. S3 Database On-line, "Family Data Collection - Births, Deaths, Individual Records, Marriages". George Foulke, Narcissa Adaline Wilson. www.ancestry.com , accessed 8 Dec 2006. Acc000736. S4 1850 Federal Census, Short creek Township, Harrison County, Ohio. Page 442, Line 13, Dwelling 1598, Family 1627, Jesse M Foulke. Original Data: NARA, M432, roll 693, Image 456. www.ancestry.com , accessed 10 Dec 2006. Acc000751/ Ph7912.jpg. 1] Jesse M Foulke: Head of household, 45 yr old male, Farmer, Real Estate Value: $2200, born Pennsylvania. 5] Meary A Foulke: 4 yr old Female. S6 1870 Federal Census, Jackson Township, Hamilton County, Indiana. Page 33, Dwelling 256, Family 259, Line 29, Amasa Folk. Original Data: NARA M593_319, page 101. www.ancestry.com . Acc000754. S7 1880 US Census, Population Schedule, Jackson Township, Hamilton County, Indiana. SD 3, ED 35, Page 10B, Line 9, Dwelling 71, Family 74, George Foulke Household. Census Date 4 June 1880. Original Data: NARA, Roll T9, Roll 281. Family History Film 1254281, www.ancestry.com, accessed 24 Apr 2018, Acc000755/Doc4601.pdf. S9 1910 US Census, Population Schedule, Jackson Township, Hamilton County, Indiana. SD 9, ED 1011, Sheet 2B, Line 65, Dwelling 25, Family 26, George Foulke household. Census Date, 20 Apr 1910. Original NARA Data: Roll: T624_353; Page: 2B; Enumeration District: 0101; FHL microfilm: 1374366. www.ancestry.com, accessed 26 Apr 2018. Acc000757/Doc4746.pdf. S10 1920 Federal Census, Jackson Township, Hamilton County, Indiana. 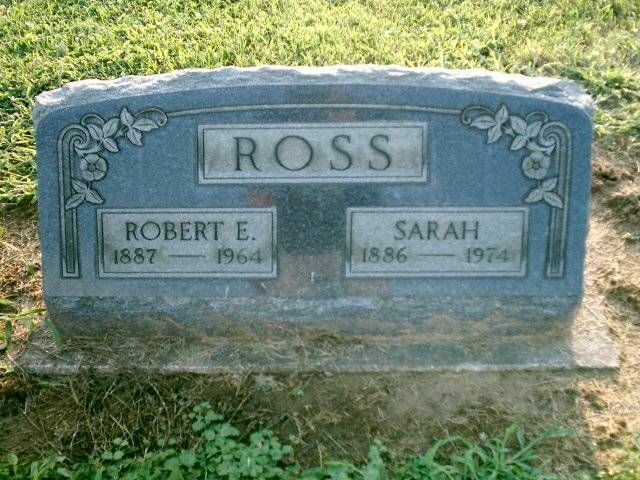 SD 9, ED 100, Sheet 2, 26 Jan 1920, Line 6, Family & Dwelling 26, Robert Ross. Original Data: NARA, T625, roll 435, Image 1000. www.ancestry.com , accessed 10 Jan 2007. Acc000833/Ph2856.jpg. 3] Paul K Ross: 8 yr old white male, single, son of head, he and parents born Indiana. 4] John W Ross: 7 yr old white male, single, son of head, he and parents born Indiana. 5] Robert C Ross: 5 yr old white male, single, son of head, he and parents born Indiana. 6] Mary F Foulke: Mother-in-law to head, 66 yr old white female, widowed, born Indiana, parents in Ohio, no profession. S12 Database On-line: "Indiana Deaths, 1882-1920". George Foulke. Original Data: City Health Office, Cicero, Hamilton County, Indiana, Book H-4, page 45, WPA Series. www.ancestry.com , accessed 28 Nov 2006. Acc000714. S13 Tombstone Inscription, Crown View Cemetery. S14 Interview, Walter C Robbins, Sr ID0005, 23 Jan 2007. Conducted by son Walter C Robbins, Jr ID0001. Acc000856. S15 Book, Index to Death Records Hamilton County [Indiana] 1882-1920, Vol 1 A-Z. S17 Database On-line, "American Civil War Soldiers" George Foulke. 9 July 1863. www.ancestry.com , accessed 9 Jan 2011. Acc000733. S18 Database On-line, "American Civil War Regiments" - 109th Infantry Regiment IN. Original Data: Union Army, Vol. 3, page 175. www.ancestry.com , accessed 9 Jan 2011. Acc001562. were organized, the battalion being assigned to the 107th. Lieut.Col., James L. Angell; Maj., McHenry Brooks. making an aggregate of 709 men rank and file. mustered out July 17, 1863. S19 Book, Operations of the Indiana Legion and Minute Men, 1863-64. Documents presented to the General Assembly, with the governor’s message, January 6, 1865 Indiana Legion. Publisher: Indianapolis, W R Holloway, State Printer , 1865. Bk2940. page 72-74 - Report of Col. John R. Mahan of the 109th Regiment Minute Men, 18 July 1863.
depot and boarded the train for Ohio. rington my regiment was entitled to the right. At 6 o clock P. M.
Page 73 - MORGAN RAID. order, and arrived at Cincinnati at 5 o clock P. M.
Court House and two large halls for the night. were mustered out of the service. Page 74 - MORGAN RAID. regiment was in the service. S21 Book, Burgess, Joe H. Hamilton County and the Civil War. United States: 1968?. Bk2963. pages 18, 108,168. Page 168: George Foulke - Rank: Pvt - Residence: Hamilton County - Mustered in: July 9, 1863 - Mustered out: July 17, 1863 - Co: I Regt: 109th. Pages 18, 19: An article about the Indiana Legion and about the 244 men from Hamilton County who answered the call for Morgan's Raid in July 1863. Page 108: "Morgan Raid Regiments - Minute Men": According to this article there were 170 men from Hamilton County in the 109th Regiment who answered the call for Morgan's Raid. S24 Military Records, "George Foulke - Civil War" - Indiana Digital Archives. - Acc001551/ Doc0305.txt. S25 Newspaper Article, Noblesville Ledger 19 Feb 1875, page 3. S26 Database On-line, "Indiana Marriage Collection, 1800-1941". Original Data: Hamilton County, Indiana, Index to Marriage Record 1850 - 1879 Inclusive Vol, W. P. A. Part One 1850 - 1859 Part Two 1860 - 1869; Book: 5;Page: 64. www.ancestry.com , accessed 8 Dec 2006. Acc000734. S27 Book, Index to Marriage Records Hamilton County 1850-1879, vol 1. S28 Web Page, Find A Grave page - Hinkle Creek Cemetery. S30 Book, Index to Marriage Records Hamilton County 1850-1879, vol 1. S31 Book: Lucien Marcus Underwood and Howard J Banker, compiler/editor, The Underwood Families of America, vol 2 (Lancaster, Pennsylvania: New Era Publishing Company, 1913, Bk3017), page 478. S32 Database On-line: Indiana Marriage Collection, 1800-1941 [database on-line], www.ancestry.com Original data: Works Progress Administration, comp. Index to Marriage Records - Indiana: Indiana Works Progress Administration, 1938-1940. Acc001555, Title: Hamilton County, Indiana, Index to Marriage Record 1850 - 1879 Inclusive Vol, W. P. A. Part One 1850 - 1859 Part Two 1860 - 1869; Book: 6;Page: 10. Photo Index: Mary Francis is #26. Arthur Foulke, aged forty, committed suicide at his home in Arcadia, Wednesday afternoon, by shooting himself with a shotgun. The top of his head was blown off and it is evident that he died instantly. No funeral arrangements have been made but it is thought that the services will be held Friday afternoon. It is not known when the deed was committed but he is believed to have taken his life shortly after one o'clock in the afternoon soon after leaving the garage of Foulke & Long, he being a partner in the firm. The wife and daughter, Helen, aged twelve, left the home in the car shortly after noon to go to Indianapolis and did not return until late in the evening. They left dinner on the table for Mr. Foulke. William Odle, employed in the Ledger office, was in Arcadia shortly after 5 o'clock on business and was told by some boys that Foulke was lying on the floor of his home. He could find no one about the town who had seen him since about noon. Meeting Dr. E.V. Shockney on the street, Odle, who by this time suspected something was wrong, asked the doctor to accompany him to the Foulke home and they found the body in the screened porch in the rear of the house. Brains were scattered over the floor but the gun was still between the legs of the deceased, indicating that he had held it there when he fired the fatal shot. The load from the gun had also broken glass in the rear door. It is said that the suicide was the result of financial worries. At least several Arcadia friends of the family say that he had talked to them during recent weeks about his financial condition. Mr. Foulke has been associated with Elmer Long in a garage and filling station business in Arcadia for several years and he was always held in high esteem by all. He served three years as treasurer of the Lions Club and was re-elected recently. 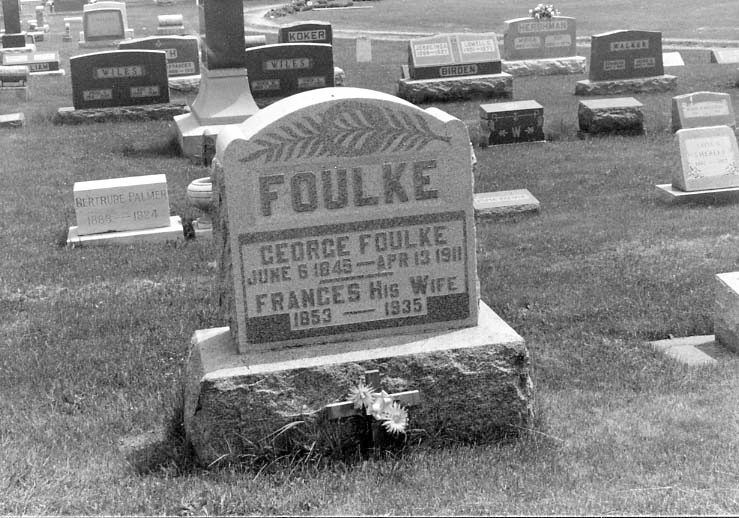 The deceased was born on the Foulke homestead five miles west of Cicero, February 8, 1894, being the son of George and Frances (Underwood) Foulke and spent most of his life in that community until his marriage to Miss Inez Everman in May, 1920. A year following their marriage Mr. and Mrs. Foulke moved to Arcadia and have since resided there. He is survived by his mother, who spent the past winter in his home and who is in feeble health; the widow and daughter; a half brother Alvin Foulke, living near Cicero, and three sisters, Grace Robbins, who resides on the home farm where the mother is now living; Mrs. Alice Phillips, near Sheridan, and Mrs. Sarah Ross, residing on the Range Line Road. S36 Tombstone Inscription, Crown View Cemetery. Rash Act Attributed to Poor Health - No attention Paid to Frequent Threats to Take Her Life - Funeral Will Occur Saturday. Miss Carrie, aged twenty-five, daughter of Mr. and Mrs. George Foulke, committed suicide at 8 o'clock Thursday night by shooting herself with a target gun in the right temple. The rash act is attributed to the girl's poor health. She had frequently threatened to take her life on account of the condition of her health but none of the members of the family took her remarks seriously, and Thursday when she told her sister Grace that she was feeling so badly that she believed she would end it all by committing suicide, but little attention was paid to the remark. Shortly after 8 o'clock all the members of the household except Mr. Foulke went out to the barn to catch some chickens which they intended to sell to the huckster, Friday. Mr. Foulke was almost asleep and the girl chose this opportunity to take her life. She procured a shot gun belonging to her brother and also his belt which contained several shells. She stepped out of the back door and attempted to place a shell in the gun. She did not succeed in this. Throwing the shotgun and belt upon the ground she hurried into the house again, obtained the target gun and walked out into the yard again, and pointing the target gun to her right temple, pulled the trigger. The shot attracted the family and they rushed to the girl, who was found lying on the ground in an unconscious condition. She was carried into the house and expired in thirty minutes without regaining consciousness. Carrie possessed a charming disposition and was a favorite in the neighborhood but her continued ill health caused her to become discouraged with life. S38 Book, Index to Death Record Hamilton County [Indiana] 1882-1920, Vol 1 A-Z. S39 Interview with Living Robbins ID0005, by RobbHaas, 22 Sept 2005, page 10. Extract: Carrie wanted to marry a garbage hauler but her parents wouldn't hear of it so she committed suicide because she couldn't marry the one she chose. S40 Tombstone Inscription, Crown View Cemetery. S41 Database On-line, "Family Data Collection-Individual Records" Alice Foulke. www.ancestry.com , accessed 8 Dec 2006. Acc000739. S42 Newspaper Article, Our Home Town [Online]] 1 Oct 2007. Acc001058. Cit. ID: Acc001058. Extract: "From Editor Barb: Here is the Boxley High School roster for 1900 go 1931. It was sent to me by both Tom Wright and Jim Land. I am assuming that the pupils listed are the graduates for that year. 1901 - Teachers: A C Harris, F A Lovell, S A Hinshaw and W S McMurtry. 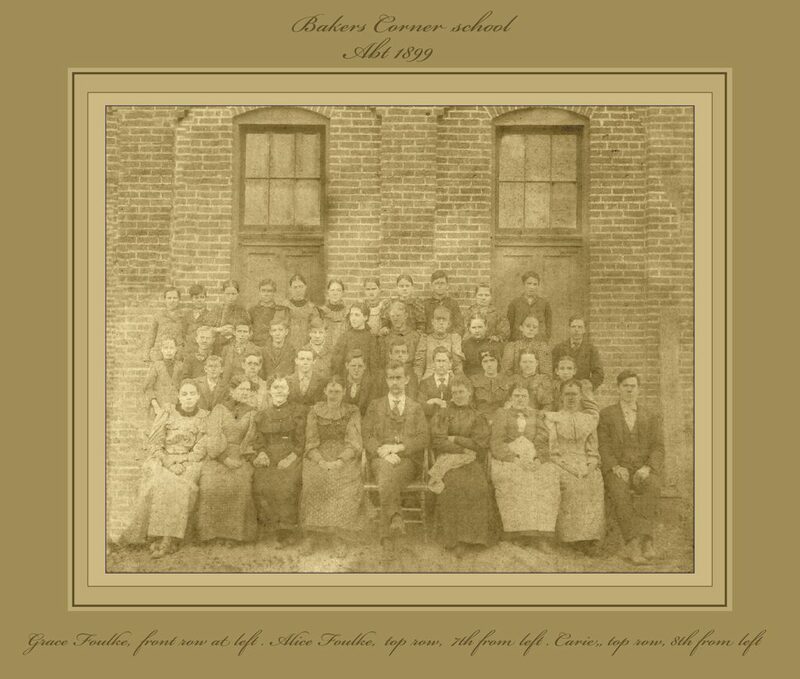 Pupils: George E Burton, Fred L Carson, Roscoe R Foland, Grace Foulke, Stella Hershman, Roy Hershman, Fletcher Ogle, Vinton Shannon, and Ada Vickery. 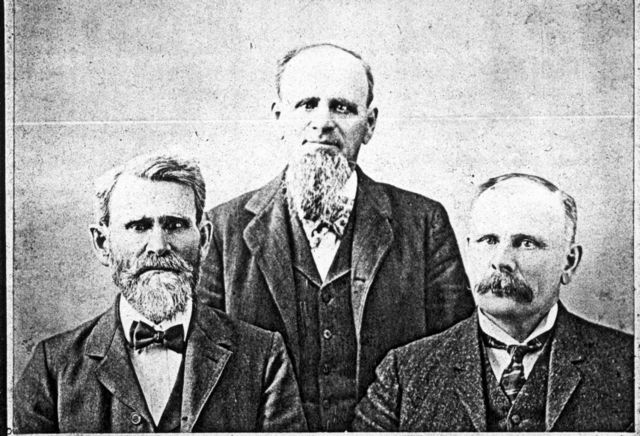 1903 - Teachers: F L Greeson, W S McMurtry, and Everett McMurtry. Pupils: Eleanor Dunn, Charles Eaton, Rollie C Foland, Alice B Foulke, Marvin Foulke, Grace Dunn, Clyde Hershman, Charles Johnson, Clyde Phillips, and Grace Vickery." S43 Database On-line, "Family Data Collection-Individual Records" - Jessie Alvin Foulke. www.ancestry.com , accessed 8 Dec 2006. Acc000738. S45 1900 Federal Census, Adams Township, Hamilton County, Indiana. SD-9, ED 77, Sheet 10, 21 June 1900, Line 23 Samuel Tetor, Line 29 Alvin Foulk, Line 31 Thomas Baker. Original Data: NARA, T623, roll 375. www.ancestry.com , accessed 28 Feb 2008. Acc001069/ Ph8451.jpg. S46 1920 Federal Census, Noblesville Township, Hamilton County, Indiana. SD 9, ED 104, Sheet 9, Line 77, Dwelling & Family 71, Alvin J Foulke. Original Data: T625, Roll 436, Image 7. www.ancestry.com , accessed 28 Apr 2008. Acc001098/ Ph4694.jpg. S47 Book, Index to Supplemental Record - Marriage Transcripts, Hamilton County [Indiana] 1880-1905 - Ind WPA, 1941. Extract: Groom: Foulke, Alvin - Father: George - Mother: Adaline Wilson - Male, White - Age Next BD: 22 - Date of Marriage: 10 Aug 1898 - Hamilton Co Clerk Office: Book C-4, page 17. S48 Indiana Marriage Collection, 1800-1941 [database on-line], www.ancestry.com Original data: Works Progress Administration, comp. Index to Marriage Records Indiana: Indiana Works Progress Administration, 1938-1940. Acc001555, accessed 16 Apr 2008. Hamilton County, Indiana, Index to Marriage Record 1880-1899 Inclusive Volume, Part One 1880-1889 Part Two 1890-1899 W. P. A Orig; Book: 10;Page: 270. S49 Database On-line, "Family Data Collection-Individual Records" - Jessie Alvin Foulke. www.ancestry.com , accessed 8 Dec 2006. Acc000738. S50 1930 Federal Census, Jackson Township, Hamilton County, Indiana. SD 6, ED 13, Sheet 5A, 12 April 1930, Line 19, Russell Foulke - Line 21, Alvin Foulke. Original Data: NARA T626, Roll 590, Image 880.0. www.ancestry.com , accessed 28 Apr 2008. Acc001099/Ph4695.jpg. S51 1910 Federal Census, Jackson Township, Hamilton County, Indiana. SD 9, ED 100, Sheet 7B, 3 May 1910, Line 97, Dwelling & Family 162, Alvin Foulke. Original Data: NARA, T624, Roll 353, Image 242. www.ancestry.com , accessed 16 Apr 2008. Acc001094/Ph4658.jpg. S52 Email, From Living ID0186, 2 Feb 2008. S53 Email, from Living ID0040, 27 Dec 2011, Subject: Pics. 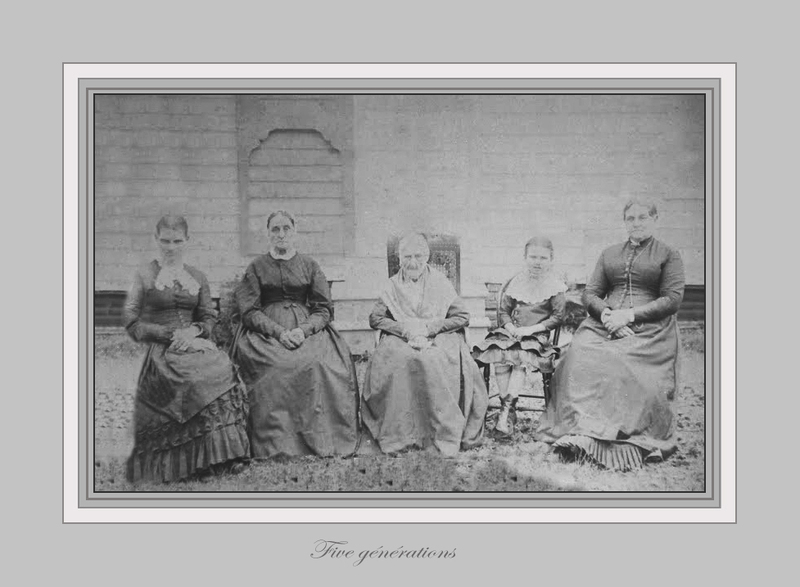 "Sarah Foulke Ross, Mary Francis Underwood Foulke, Eliza Ann Stratton Higbee. Eliza Ann was a sister of Sarah B. Stratton Underwood. Her husband laid out the town of Millwood, which later became Sheridan, Indiana." Wm. Baker and wife Sunday [visit]ed with J. B. Baker and wife. Frank McShane and daughter Nora of Nora and Mr. and Mrs. John Foulke visited Thursday with Geo. Foulke and wife. 1] Lewis Underwood: Head of household, 45, white, male, Farmer, Real Estate Value: $6000 - Personal estate value: $5500 - born Ohio. 2] Sarah Underwood: 28, white female, keeping house. 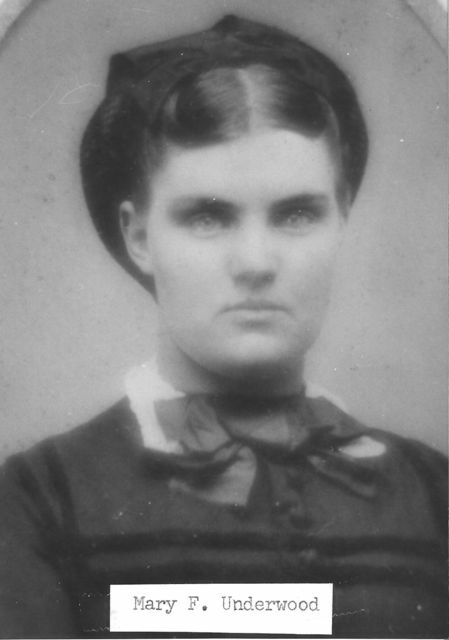 3] Mary F. Underwood: 15, white female, at home. 4] William E. Underwood: 13, white male, at home. 5] Charles A. Underwood: 12, white male, at home. 6] Caroline E. Underwood: 10, white female. 7] Alveretta Underwood: 8, white female. 8] Laura Underwood: 6, white female. S66 1860 US Census: Adams Township, Hamilton County, Indiana. Page 202, Line 13, Dwelling & Family 1409, Lewis Underwood. Original Data: NARA, M653, roll 263, Image 203. www.ancestry.com , accessed 15 March 2007. Acc000868. 1] Lewis Underwood: 34 yr old male, Farmer, Real Estate value: $2500, personal estate value: $1475. 2] Sarah [Stratton] Underwood: 26 yr female. 3] Mary Underwood: 6 yr old female. 4] William E Underwood: 5 yr old male. 5] Charles Underwood: 2 yr old male. 6] Caroline Underwood: 8 month old female. Miss Carrie Foulke, Daughter of Wealthy Parents, Shoots Herself with Target Rifle. George Foulke, aged 66, a well known farmer of Jackson township, died at his home about two miles east of Bakers Corner, at 11 o'clock Thursday night, of a complication of diseases. It has been known for some time that he was in a precarious condition, but his death comes as a shock to a large number of friends and acquaintances who were unaware of his serious condition. 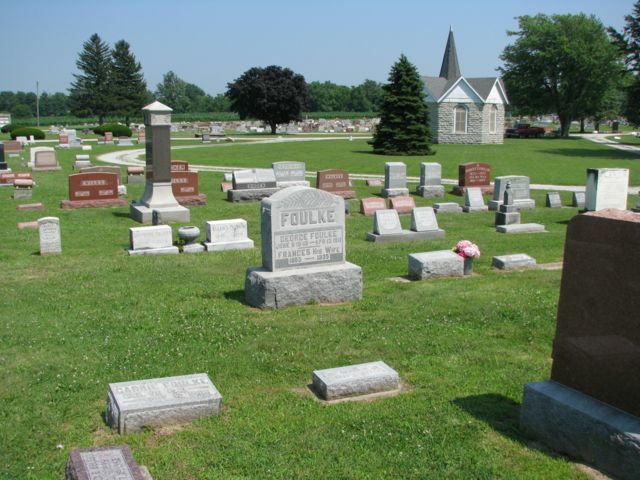 Mr. Foulke had spent the greater portion of his life in the neighborhood where he died, and was recognized as a man of sterling integrity, a good business man, and a model farmer. He was born in Ohio, but his father, the late Jesse Foulke, came to this state when it was a wilderness and settled in the vicinity of Bakers Corner nearly sixty years ago. The funeral took place Monday the services being conducted by Rev. Lindley Reagan. Burial at Crown View Cemetery. 1. "Sarah Ross" Noblesville Ledger (Noblesville, Indiana) Repository: Hamilton East Public Library (Noblesville, Indiana), Indiana Room, microfilm. 18 July 1974, page 10. Doc2883.pdf. A resident of Cicero community for 86 years, Mrs. Sarah Ross, died Wednesday evening at Riverview Hospital. Born in Cicero to Mrs. and Mrs. John [George] Foulk [Foulke] in 1886, she lived there until a year and a half ago, when she moved to join her son, John Ross of R. 5 Noblesville. Mrs. Ross was the widow of Col. Robert Ross, who died in 1964. 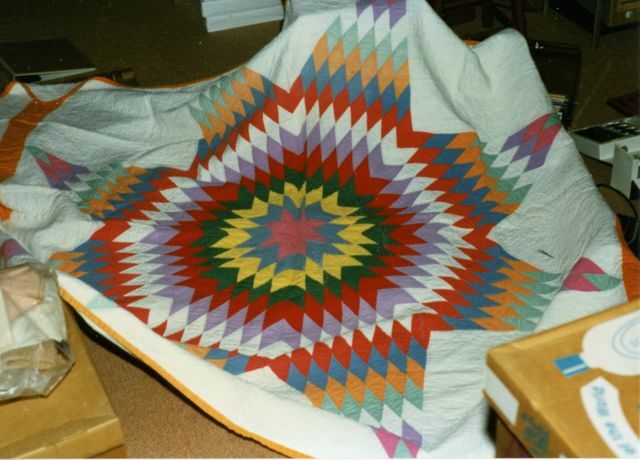 She was a member of the Boxley and Walnut Grove Sister-Brotherhood. Funeral services are scheduled for 2 p.m. Saturday at the Evans-Godby-Trout Funeral Home in Noblesville with Larry Renihan officiating. Friends may call at the funeral home anytime after noon Friday, and burial will take place in the Cicero Cemetery. In addition to John Ross of Noblesville, Mrs. Ross is survived by another son, Paul Ross of Deming, three grandchildren and four great grandchildren. 2. "Ross Services" Noblesville Ledger (Noblesville, Indiana) Repository: Hamilton East Public Library (Noblesville, Indiana), Indiana Room, microfilm. 22 July 1974, page 10. Doc2884.pdf. Rev. Larry Renihan officiated at funeral services Saturday for Mrs. Sarah Ross a lifetime Hamilton County resident who died last Wednesday. Interment in Cicero Cemetery followed the 2 p.m. services at the Evans-Godby-Trout Funeral Home. Pallbearers were Lisco Leonard Jr., Donald Kolb, Robert Clark, Larry Ross, Kermit Ross and Dennis Ross. S72 Probate Record: "Indiana Wills and Probate Records, 1798-1999". Database Online. Original Data: Indiana County, District and Probate Courts. www.ancestry.com, accessed , accessed 22 Apr 2016. George Foulke Estate. Hamilton County Probate Order Books, Circuit Court, Vol. 49, 1912-1913, page 255-258. Doc3487.pdf. In the Hamilton Circuit Court, April Term, 1912. I would show that said decedent left a widow, Francis Foulke, and five children, to wit; Alvin Foulke, Grace Robbins, Alice Phillips, Sarah Ross and Arthur Foulke, his only heirs. and distribution made among the heirs. I therefore ask that this report be approved and that I be discharged from my trust. Subscribed and affirmed to before me, this 27th day of May, 1912. My commission exp. Nov. 17-1915 Claire Johnson, N.P. S73 Death Record, George Foulke. "Indiana, Death Certificates, 1899-2011" [database on-line]. Original Data: Indiana State Board of Health. Death Certificates, 1900–2011. Microfilm. Indiana Archives and Records Administration, Indianapolis, Indiana, Indiana Archives and Records Administration, Hamilton County, 1911, page 104 . Doc3542.pdf. S74 "Indiana, Death Certificates, 1899-2011" [database on-line]. Original Data: Indiana State Board of Health. Death Certificates, 1900–2011. Microfilm. Indiana Archives and Records Administration, Indianapolis, Indiana. Indiana Archives and Records Administration. www.ancestry.com, accessed , 15 June 2016. 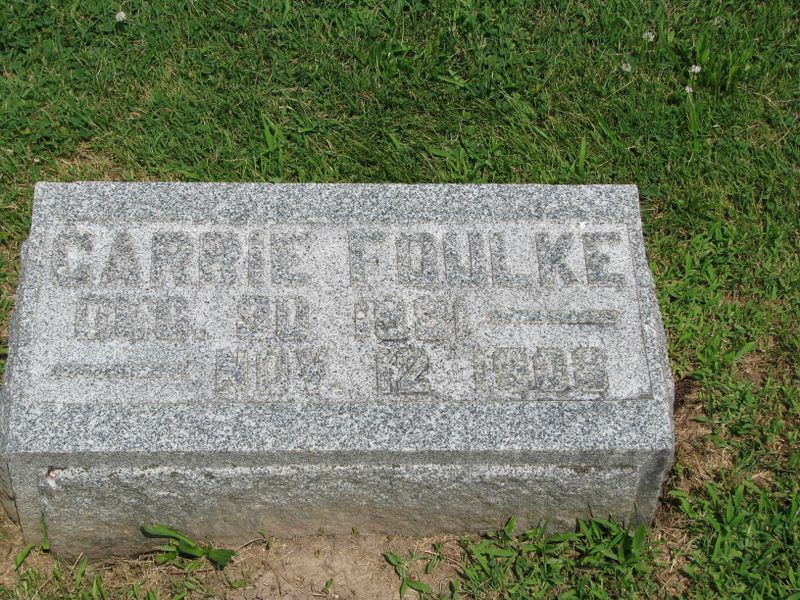 Carrie Foulke, 12 Nov 1908, Jackson Township, Hamilton County, Indiana. Doc3554.pdf. Undertaker: Hadley Wall & Co., Noblesville, Ind. S75 "Indiana, Death Certificates, 1899-2011" [database on-line]. Original Data: Indiana State Board of Health. Death Certificates, 1900–2011. Microfilm. Indiana Archives and Records Administration, Indianapolis, Indiana. Indiana Archives and Records Administration. www.ancestry.com, accessed , 15 June 2016. 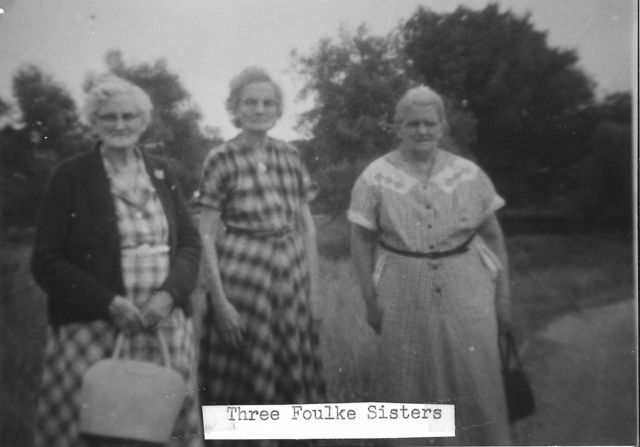 Lula Kellam Foulke, 9 Feb 1933, Hamilton County, Indiana. Doc3555.pdf. S76 "Indiana, Death Certificates, 1899-2011" [database on-line]. Original Data: Indiana State Board of Health. Death Certificates, 1900–2011. Microfilm. Indiana Archives and Records Administration, Indianapolis, Indiana. Indiana Archives and Records Administration. www.ancestry.com, accessed , 28 July 2016. Alvin Foulke, ID0079, 30 Jan 1936, Jackson Township, Hamilton County, Indiana. Doc3664.pdf. S78 Map of Hamilton County from around 1919 showing land owners with local advertisers in margins. Indiana Memory Project. Doc3760.pdf. S80 Newspaper Article, Noblesville Ledger, Monday, 24 Sept 1928, page 6, Col. 5. Robert E. Ross Vs. Mary F. Foulke and Arthur Foulke. "Robert E. Ross filed a suit in court, Monday, against Mary F. Foulke and Arthur Foulke, as guardian of Mary Foulke. The plaintiff is represented by R. R. Foland and Christian & Waltz and is asking $9,000, representing advancements made to Mrs. Foulke, he alleges in the way of materials, labor, repairs and replacements of property on her farm. An itemized statement of the expenses of the plaintiff is contained in the complaint." S81 Newspaper Article, Guardianship Notice for Mary Foulke. Noblesville Ledger (Noblesville, Indiana), Tuesday, 14 Nov 1933, page 1, Col. 2. Doc4549.pdf . Newspaper Article, Noblesville Ledger (Noblesville, Indiana), Thursday, 19 July 1928, page 1, Col. 4. Doc4551.pdf. The Court has granted Arthur Foulke, guardian for Mary Frances Foulke, the privilege of borrowing $3,500 and has increased the bond of the guardian $7,000. The money, it is understood, will be used for the minor child. Newspaper Article, Noblesville Ledger (Noblesville, Indiana), Wednesday, 23 Jan, 1929, Page 6, Col. 1. Doc4552.pdf. In the estate of Mary Foulke, who is living with her daughter Mrs. S. C. Phillips, at Sheridan, the total receipts by the guardian were $6,066 and the expenses were $5,975. Notice is hereby given that the undersigned will receive bids on or before November 26, 1927, at the Office of Gentry, Cloe & campbell, for the dale of the Mary F. Foulke farm, consisteing of 109 acres, on the Cicero and Sheridan Pike, one mile east of Range Line Road. Good fertile soil. Ten room house, slate roof, barn 40 x 60 feet, other out-buildings and tenant house, three driven wells and one flowing well. Terms: Cash one-third and balance in six and twelve months. S82 Newspaper Article, Noblesville Ledger (Noblesville, Indiana), 16 May 1935, page 5, Col. 3. Newspapers.com, accessed 20 Jan 2018. 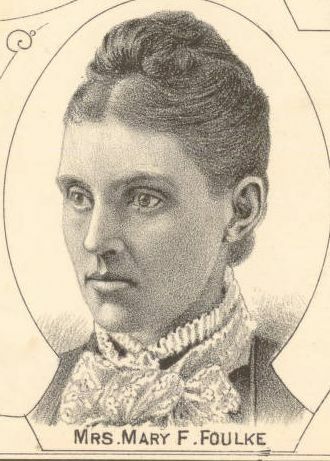 We regret to learn of the death, near Baker's Corner, of Mrs. Foulke, wife o George Foulke, and daughter of Howland Wilson, Esq., of Noblesville, which occurred on the night of Friday, June 20th, 1877. Deceased was a young woman, but we are not advised of her exact age. She left a husband and one small child to mourn her loss. During the past four or five years the Foulke family has been severely afflicted by the hand of death. Last week we announced the death of William and now the wife of George, making six deaths in the course of less than that many years. The funeral of Miss Carrie Foulke, who committed suicide last Thursday night, was held at the home of her parents, Mr. and Mrs. George Foulke, west to Cicero, at noon Saturday. There was a very large crowd present. The services were conducted by Rev. Lindley Reagan, of Bartholomew county, and the interment occurred at Sheridan. Miss Foulke was a favorite in the locality where she lived and her untimely death is mourned by a large circle of friends. Base burner, carpets, chairs window curtains heating stove, lard press, milk cans, fruit cans, extension table, vinegar, fireless cooker, stone jars, small scales and weight beam, 150 apple crates, sorghum molasses, milk cooling cans, new 5 h.p. Olds gasoline engine, line shafting and belts, Polar creamer, paint and oil, 2 iron kettles carpenter tools, hay rake, hay ?edder, 2 cultivators, disc harrow, corn planter, binder, fan mill, 1 horse drill, 2 old wagons steel harrow, 2 buggies, closed spring wagon, set double carriage harness and pole, hay fork, rope and pulleys, lot of baled hay and straw, 4 brood sows, 25 shoats, 8 ewes and six lambs, 2 registered jersey cows, 4 coming two year old and two coming 1 year old jersey heifers eligible to register, three of them will be fresh soon, 3 grade heifers coming 2 years old, abut 200 bushels corn and many other articles. Term -- Sums of $5 and under cash. All sums over $5 a credit of 8 months will be given purchaser giving bankable note. No property to be removed until terms are complied with. The Board met Monday, Jan 1, but were in session a short time adjourning in a few minutes until Tuesday morning. Jesse DeVaney, Owen Conly and George Foulke were appointed as viewers on the vacation of the proposed highway from South 10th street south to the Indianapolis pike. Supt. Foulke's report on the DeVaney gravel road between Adams and Jackson townships was approved. Sunday [18 Feb] a smoke house, belonging to George Foulke, near Deming, was burned to the ground. A large quantity of meat and lard was destroyed. Col. 3: July 9, 1863 . . . The Indiana Home Guard lost 2 killed, 2 wounded and 45 missing at Brandenburg, Kentucky when Gen. John H. Morgan's Raiders crossed the Ohio River into Indiana. . .The Indiana Home Guard lost 3 killed, 12 wounded and 345 missing fighting Morgan's Raiders at Corydon, Indiana. In response to the call of Gov. Morton for troops to meet Morgan's invasion of Indiana, the following responded and were assigned to Co. "I", 109th Indiana Regiment (Minte Men): Privates . . . George Foulke, . . . all of Hamilton County, Indiana. The smokehouse with its contents, on the farm of George Foulke was destroyed by fires Sunday [18 Feb 1900] afternoon Mr. Foulke was considerably burned about the face and hands in his efforts to save his dwelling. The fire originated from hot ashes. The loss is over two hundred dollars. S90 Newspaper Article, The Hamilton County Ledger (Noblesville, Indiana), 29 Jan 1904, page 3, Col.4-6. newspapers.com, accessed 6 Feb 2018. Cicero -- A warrant was issued charging Luther Revis with stealing a hide from George Foulke and selling it at Sheridan. Revis scented danger and left for parts unknown between two days. John H. and Arthur Ayers have sued the Home Gas & Water company, of Cicero, on a mechanics lien for $250. The controversy is over a well on the George Foulke farm west of Cicero. A few days ago the company obtained a temporary injunction against the plaintiffs prohibiting them from working on the well. George Foulke is building a fine house. Robert E. Ross, who has been living on the George Foulke far, five miles west of Cicero, for several years, will have a large sale of horses, cattle, hogs and farming implements on the farm on Wednesday, Feb. 10th. There are fifteen head of horses to be sold, including several fine Normans, as well as other good stock. The twenty-seven head of cattle include one three-year-old cow to be fresh soon, some yearling heifers, bulls and 22 head of extra good feeding steers ready for the market. One hundred and three head of hogs are to be sold. This list includes some extra good brood sows to farrow soon, part registered and about 81 head of good feeding shoats. A large number of farming implements will also be sod. The sale will be held under a tent and the W. C. T. U. ladies of the Boxleytown Christian church will furnish dinner. Danial Knapp, Howard Frazee and George Foulke appointed commissioners and instructed to report at this term of court. S96 "Real Estate Transfers" The Hamilton County Ledger (Noblesville, Indiana), 28 Jan 1898, page 1, Col. 2. Newspapers.com, accessed 11 Feb 2018. George Foulke et al to Amanda S. Underwood, land in Adams tp, $1500. "Doings of People of Sheridan and Vicinity" The Sheridan News (Sheridan, Indiana), 10 March 1911, page 7, Col. 2. newspapers.com, accessed 11 Feb 2018. Dr. S. C. Phillips and family took dinner Friday of last week at the home of George Foulke at Bakers Corner. Luther Bevis, living west of Cicero, disappeared several days ago and has not been heard from since. A warrant has been sworn out for his arrest on the charge of stealing a hide from George Foulke and selling the same at Sheridan. 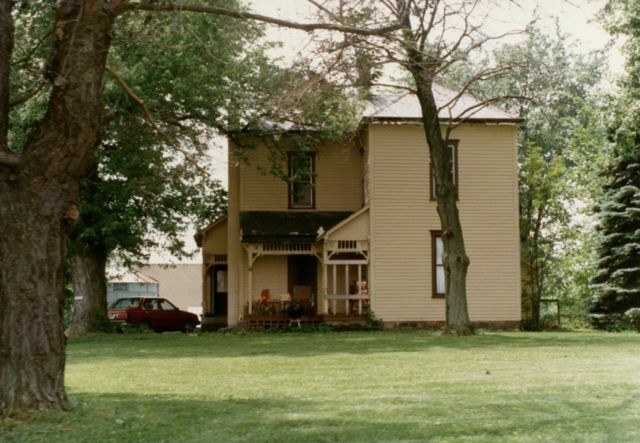 The Home Gas and Water Company, of Cicero, has asked the court for a a temporary injunction against J. C. Ayers, Arthur Ayers, W. D. Forman and Sewell Forman to prevent them from pulling the casing in a gas well which the plaintiff drilled on the farm of George Foulke west of Cicero. It is claimed the removal of the casing will damage the well beyond repair and the plaintiff wants the restraining order issued so as to stop the work immediately. Pretty miss Frank Revis and Her Cousin are Missing. Pretty Miss Frank Revis, daughter of D. W. Revis, a well known farmer living four miles west of Cicero, and her first cousin, whose name is also Revis, eloped last Saturday night. The presumption is that they are married, but nothing has been heard from them since they left. Last fall Mr. and Mrs. D. W. Revis went to their old home in North Carolina to make an extended visit. Upon their return they were accompanied by two nephews of Mr. Revis, both of whom ere young men o f good address and pleasing manners. One of them made his home at the Revis residence west of Cicero, and secured employment on the farm of George Foulke near by. Miss Frank Revis is a winsome young lady, a little more than eighteen years of age, and an attachment sprung up between she and her cousin. Their friendship ripened into love and the first intimation that any one had of their prospective marriage was from an inquiry made by the young man who desired to know if there was any state in the union that permitted cousins to marry. Young Revis, Miss Revis and a relative drove to Cicero last Saturday night to attend a show. When the south-bound train, due here at 9:30 o'clock, passed through that place the young couple bid adieu to their friends, boarded it and left. When the father of the young woman was notified of the elopement he was very angry and made an effort to have the Indianapolis police apprehend them. The only information secured by the capital city authorities concerning them was that a couple answering their description had inquired about the price of tickets to North Carolina. The officers refused to molest the young people until Revis had issued a warrant for their arrest. This action necessarily delayed the matter until next day and by that time the irate father had quieted down and accepted the situation philosophically, agreeing to receive the couple with open arms if they had really been successful in their efforts to marry. It is believed that they are not in North Carolina. On Sunday, a meeting of the American Missionary Society was held at No. 10, west of Westfield, in a grove, with 200 present. After the opening prayer by Rev. Mr. Campbell, of Noblesville, Miss Melinda Embree delivered an address on the work being done in the South and particularly for the freedmen. Rev. Mr. Atkinson, agent of the society, spoke at length. J. R. Gray, of Noblesville, spoke briefly. A collection was taken which amounted to $140. Among those who contributed were: . . . George Foulke . . .
. . . Then, the marriage of George Foulke and Mary F. Underwood will occur soon. Robert E. Ross, better known to his friends over the county as "Col. Bob" and living west of Cicero, is rated as one of the best auctioneers in this part of the state. The pep which he puts into every sale attracts the people and then "Bob" possesses that faculty of getting people to pay good prices for everything that he sells, which makes his services in demand. Col. Ross first saw the light of day in Hamilton county and has spent his entire life here. He was born in Adams township, being a son of John R. and Martha Ross, early settlers of the northwestern part of the county. He secured most of his education in the old Roderick school house. He finished the grades and then went to farming and during the forty-one years of his life he has followed auctioneering for eighteen years. Col. Ross has been successful in his line of work, his friends say, largely because of his very friendly disposition and his ability to work. If necessary he will spend twenty-four hours a day on a job and he will drive through rain and snow storms at any time of the night and any distance to accommodate some one who has befriended him. For the past eighteen months Col. Ross has been actively connected with the Foland Auction Company but he is now working in that line of business for himself.
. . . George Foulke is sick with lung fever . . .
|Note: Tuberculosis. Commonly known in the 1800's as consumption, lung sickness, long sickness, white swelling, the white plague, marasmis, phthisis, wasting disease or tuberculosis of the lungs. ... It is spread by the act of breathing by people with an active case of the disease. 1 black Norman Mare, nine years old, in foal; 1 roan mare ten years old in fole; 1 gelding seven years old, weight 1500 pounds; 1 dark gray Norman gelding three years old; 1 light gray Norman gelding three years old; 1 team of sorrel geldings three years old; 1 bay driving horse five years old; 1 driving colt two years old; 1 sorrel driving colt two years old; 1 smooth mouth mare; 4 draft colts, coming yearlings. 1 good three year old cow to be fresh soon; 1 good five year old cow; 1 good two year old Hereford bull; 2 coming yearling heifers; 22 head of extra good feeding steers ready for market. 22 head of extra good brood sows to farrow soon. Part of these sows are registered and part of them are eligible to register. 1 duroc boar, registered; 81 head of good feeding shoats, some of them eligible to register. 75 bushels of good seed oats; 4 tons of hay in mow. Good as news Webber farm wagon; 4 cultivators; 2 Oliver walking breaking plows; Oliver Sulky breaking plow; Osborne Spike tooth harrow; Osborn disc with tandem attachment; 2 steel rollers; 2 endgate seeders; sulky self dump hay rake; 3 sets brass mounted team harness; one 2 horse power gasoline engine, all good as new, and other articles to numerous to mention. The W. C. T. U. Ladies of Boxley Christian church will furnish dinner. All sums of $5.00 and under cash in hand. Sums over $5.00 a credit of 3 months will be given, purchaser giving note with approved freehold security. 4 per cent discount for cash to those entitled to make a note. No property to be removed until terms are complied with. AUCTS, W. A. Miller, F. H. Wise, R. C. Foland, H. Henderson. Three good gas wells have been developed in this county during the past few day. One in White River township belongs to an Elwood company and it is the fourth well in the same locality that is producing sufficient gas to justify piping it several miles. The Cicero company has two new wells. One is located on the George Foulke Farm and the other on Marion Blanton's place. Both are about fur miles west of the town. 20 HEAD OF CATTLE ---- Five year old Shorthorn cow with calf by side; four year old cow, half jersey and half Shorthorn, with calf by side; six year old spotted Shorthorn cow to freshen soon; six year old half Jersey and half Shorthorn cow giving good flow of milk; three year old cow, half Shorthorn, due to be fresh March 15; three year old brindle Jersey cow; 10 head of good Shorthorn yearling heifers; coming two year old Shorthorn bull, a good one. 115 head of good feeding shoats weighing from 60 to 175 pounds; 12 head of brood sows, some with pigs by side, others to farrow soon. All sums of 5.00 and under cash in hand. All sums over $5.00 a credit of 7 months will be given, purchaser giving note with approved freehold security, notes to draw 8 per cent interest after maturity if not paid when due. 4 per cent discount for cash to those entitled to a note. Auctioneers: Col Miller, Col. Wise, Col. Henderson, Col. Sowers. Ladies Aid Society of Salem M. E. Church, will furnish lunch. Sale will be held under large sale tent. NOTICE is hereby given that a petition signed by more than 50 freeholders and voters of Jackson Township, will be presented to the Board of Commissioners of Hamilton County, Indiana, at the regular July session, 1907, of said Board, asking for the improvement of a certain highway in said township, which petition is in the following words and figures, to-wit: . . .
S112 Newspaper Article, "Local Summary" Hamilton County Ledger (Noblesville, Indiana), 12 Dec 1890, page 1, Col. 1. newspapers.com, accessed 27 Feb 2018. George Foulke of Baker's Corner, braved the cold Tuesday [9 Dec 1890] sufficiently to come to the city on business, part of which ws to cheer THE LEDGER exchequer. S113 Newspaper Article, "Notice of Gravel Road Petition" The Hamilton County Ledger (Noblesville, Indiana), 4 Sept 1908, page 5, Col. 3. newspapers.com, accessed 28 Feb 2018. Doc4671.pdf. Mrs. S. C. Phillips and children spent Monday [10 Apr 1911] with George Foulke and wife, Monday. S115 Newspaper Article, "Baker's Corner" Hamilton County Democrat (Noblesville, Indiana), 5 Aug 1898, page 5, Col. 5. Newspapers.com, accessed 2 March 2018. J. B. Baker transacted business at Noblesville a day last week. George Foulke presented his daughters with a new bicycle. S116 Newspaper Article, "Will Make Butter on a Large Scale" The Hamilton County Ledger (Noblesville, Indiana), 11 Oct 1904, page 1, Col. 5. Newspapers.com, accessed 2 March 2018. Doc4673.pdf. George Foulke, a prosperous farmer of Jackson township, has concluded that there is money in what some people on farms consider insignificant things and is arranging to engage in the butter business on a large scale. He is milking nine cows now and expects to add to this number in the near future. He is already shipping from 50 to 60 pounds of butter every week and he hopes to increase the output to 100 pounds weekly. He has just completed a 60 ton silo and is remodeling his barn. He is a natural mechanic and has the reputation of being the most up-to-date farmer in his neighborhood. George Foulke will erect a fine residence soon. 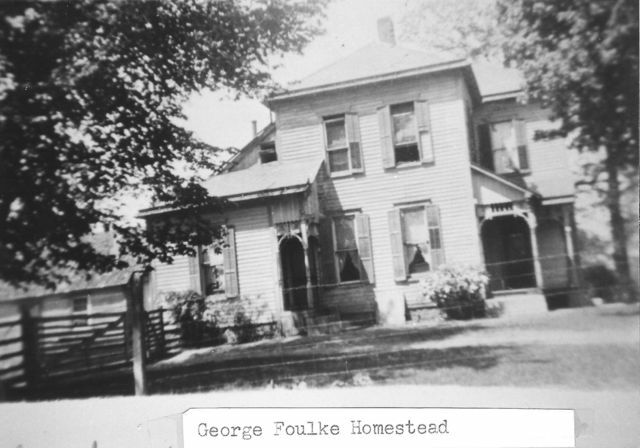 Mr. Graham, of near Noblesville, has purchased the Foulke Farm [Jesse Foulke Farm] and has taken possession.